JPEGmini has been reviewed and praised by dozens of photography publications and bloggers, among them are: Fstoppers, Petapixel, Macworld, Photography Life, Shotkit, Noupe, and more. After dropping your photos into JPEGmini's Interface, it will create an optimized version of them. The photos will look identical, but their file size will be a lot smaller. Smaller file size means you’ll have more space on your hard drives, you can store more photos on your thumb drives and Dropbox account, upload photos faster, send more photos with your email, and make your website load much faster. 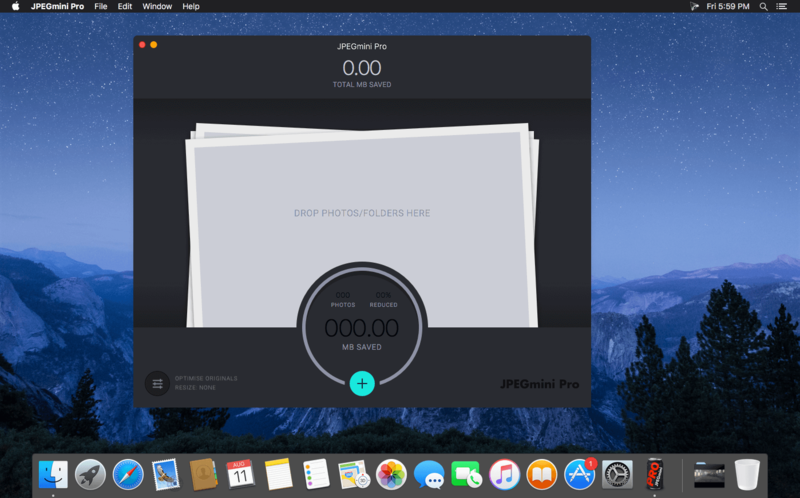 JPEGmini Pro is a tool intended for professional photographers who are constantly challenged by the bloated file sizes of photos and the constraints it puts on them. Using patented image optimization technology, JPEGmini Pro reduces the file size of your photos significantly (up to 80%), while preserving their full resolution and quality. JPEGmini Pro utilizes all the CPU cores in your computer simultaneously, crunching your photos at amazingly high speeds, so you can get your work done in no time. We’ve also added support for photos up to 60 Megapixels, covering all your photography needs, including Canon 5DS and Canon 5DSR, panorama shots and collages. JPEGmini Pro now includes a plug-in for Adobe® Lightroom® and a Photoshop® extension! 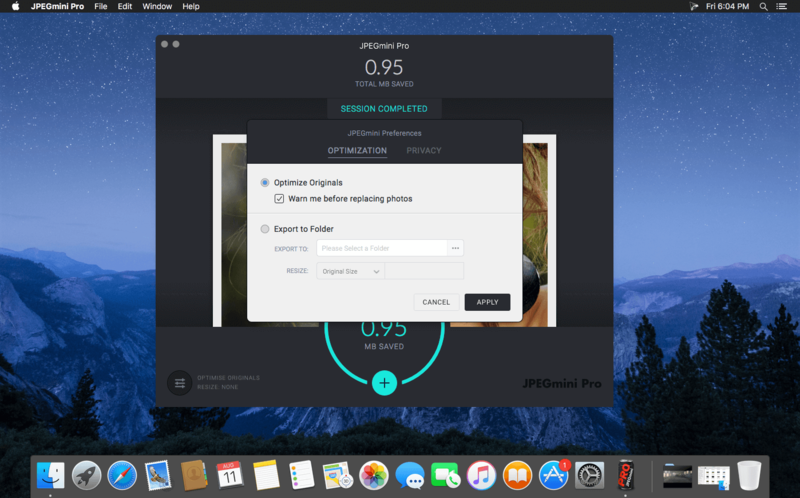 When you export your photos directly from Lightroom or Photoshop, they will be automatically optimized by JPEGmini to the lowest file size possible without ever sacrificing quality.